NewCarSellOff.com aims to give dealers another outlet to sell aging inventory. NewCarSellOff.com may not be a brand new site — first launched in 2012 — but it’s back with a new look and a few new tools to benefit dealers, says Rick Balkan, chief executive officer and president of the third-party site. Balkan said that many of the site additions, such as reviews, fuel economy ratings and more, have been launched in an effort to ensure the site includes more than just car listings, and instead becomes a “one-stop-shop” for those in the market for a new vehicle. “Many new-car dealers would look at their aged inventory and say, ‘I would give these away at cost;’ they were that eager to make room on their lots and get rid of units that weren’t selling,” said Balkan. Therein lies the inspiration for NewCarSellOff.com, which helps to allow dealers to get rid of aging inventory as well as allow consumers to see the majority of the cars on the site at bottom-line prices. Though not all vehicles on the site have been reduced to bottom line price, the site promoes the cheapest ones. For example, if 100 dealers are selling Dodge Caravans, the cheapest vehicle will rise to the top of the search, based on the shoppers’ search criteria. 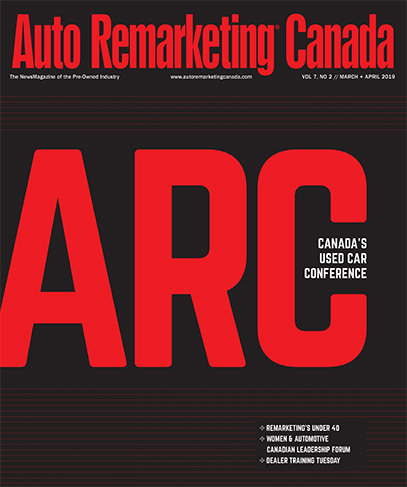 And currently, roughly around 300 dealers across Western Canada and Ontario utilize the site’s services. “We rank our vehicles on the biggest discount, so the best discounted vehicles will show up first. And we do it based on the markdowns from MSRP, so consumers can see what kind of deal they are getting,” Balkan said. Though the site was designed to clear aging new inventory off dealers lots, Balkan said they quickly added used-car capabilities, as well, in an effort to offer consumers new-versus-used comparisons. The move was also made in response to dealer requests. Now, the site features used vehicles 7 years and younger, as well. Used-car ratings are based on a five-star system, said Balkan — stars will light up if the vehicles meet the requirements for the following: accident reports, mechanical reconditions, cosmetic repairs, low mileage and warranty. For the accident report portion of the rating, the website utilizes a partnership with CarProof. “This communication with CarProof has been great for us, because it allows the consumer right off the bat to see if the car has ever been in an accident,” Balkan said. The “low mileage” star will light up is the vehicle has 15,000 kilometers or less on its odometer. And Balkan pointed out that the way these used cars get ranked on the site is a bit different from other third-party sites. Balkan also outlined a few benefits for dealers using the site. First off, dealer customers can utilize the site’s vehicle loading tool, available on Android and iPhone devices. "When they get set up with us, we have a DMS (dealership management system) feed that comes into our system, then we will populate the vehicle loading tool with their inventory so they can walk out to the car lot and identify with VIN scan, stock number, or the number that is located on the vehicle loading tool. Then they are able to take pictures, upload them to our site, adjust pricing, and enhance description of the vehicle,” said Balkan, noting the tool makes vehicle posting a one-step process. The site also has back-end tools to help dealerships price vehicles and have designed algorithms to help dealers price on factors such as days-in-inventory and age. “We can price their inventory as we bring it on to the site and then constantly change the price as it ages and as the dealer desires. We can specifically set pricing rules based on as specific to trim, engine, transmission and days-in-inventory,” Balkan said. Dealers have the option of pushing the hardest inventory out first by pricing it aggressively, and keeping the profit in vehicles with more bells and whistles, such as four-wheel drive, or a more expensive trim. And the site helps with consumer-facing price questions, as well, as it features a bi-weekly payment calculator, which allows shoppers to gauge bi-weekly payments and affordability before engaging with a dealer. The site also generates videos from dealers still photography images for up to 500 vehicles — and these pricing videos will automatically update as the vehicle rate changes, as well. “We pride ourselves on the fact that dealers can set it and forget it, in a lot of cases,” said Balkan. Another tool the site touts is automated rebates and updates. “At the beginning of the month after contacting dealers, we compile all the rebates for the vehicle, and the dealers can choose to automatically have these rebated distributed among their vehicle instead of going in and changing,” said Balkan. The site also touches on social media, as well, as it has the ability to populate the dealers top 20 deals on the site to their Facebook pages as well as their “specials” tab on the dealership websites. “One of the most commonly searched spots is the specials tab. What we wanted to do is create a tool that would allow consumers to see real inventory that belongs to that dealership that they are motivated to sell,” Balkan said. For more information, see www.NewCarSellOff.com.